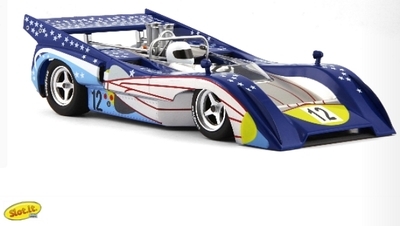 This has to be one of the best looking Classics from Ninco, and I like almost all of them! 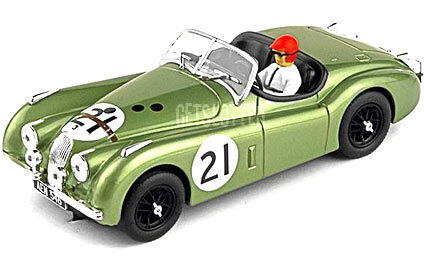 This is a Jaguar 120 as raced at Le Mans in 1951. The color and detail are exceptional. 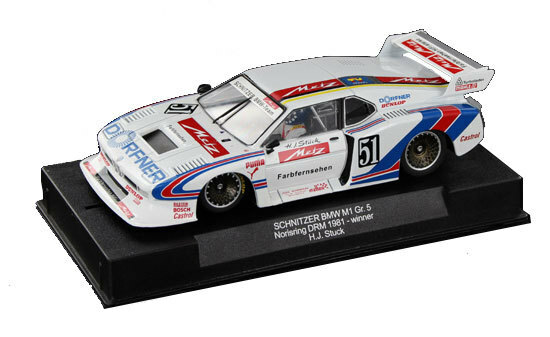 #50695 $89.99 and in stock. 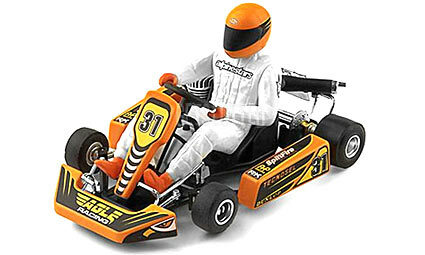 Also just in from Ninco are two Go Karts. I must confess to being quite disappointed several years ago when Ninco discontinued these cleverly designed, great looking karts that are a blast to drive. Two new liveries have appeared, the Eagle #50641 and the Harpoon, #50640. $89.99 each and in stock. For those of you who haven’t had the opportunity to try these at the store or in your home track, they have active front steering that works with the guide pin, turning the wheels through curves and the small can motor is completely hidden from view and provides enough punch to slide the rear out under power in the curves. Don’t miss them this time around. 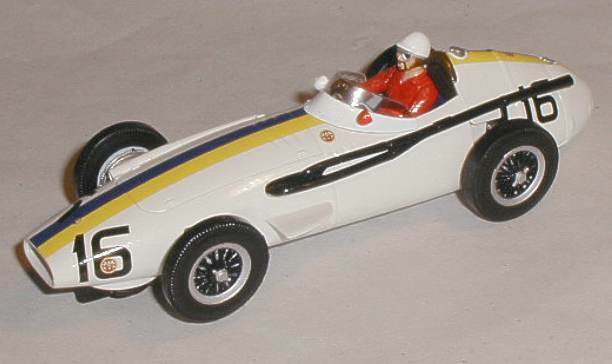 C3403, Maserati 250F droven by J. Bonnier in the Pescara GP in 1957, $54.99 and in stock. 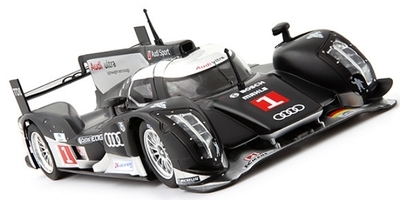 Also available is the full 2014 Scalextric Catalog #55, $10.99 and in stock.